So it is on the first collaborative journey of Canadian musicians Venetian Snares and Daniel Lanois. What started as mutual respect for one another's work, led to several years of a creative germination resulting in an eight-track full-length exploration released May 4th on Timesig/Planet Mu. The path began in 2014, after Lanois reached out to Venetian Snares (Aaron Funk) as a fan of his work. The project started to take root in Summer of 2016, after Funk hung around Toronto between shows. Taking his gear to Lanois' studio, the two began to play for the first time together in what would prove to be a formative moment in their creative journey together. 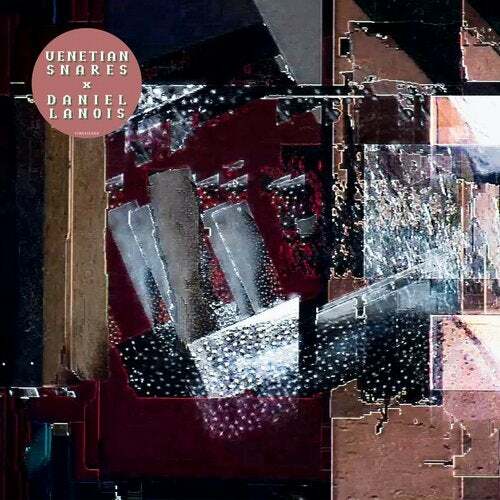 Recorded live in a former Buddhist temple-turned-studio in Toronto, 'Venetian Snares x Daniel Lanois' travels to new zones in what Lanois describes as ?a body of work driven by exploration?. Like all the best collaborations, it's brought something new out of both musicians. Equipped with their production acuity, they let their natural workflow guide them through uncharted waters. Funk laid the groundwork with drums while Lanois rode the pedal steel, weaving their sounds together in a new sonic tapestry. The two ultimately landed at their destination, their work ready to be shared with those willing to explore.